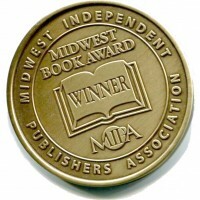 The High Cost of Flowers was the 2014 Midwest Book Awards winner in the Contemporary Fiction and Literary Fiction categories. Joseph Tachovsky and I have been working on a significant project for about ten months. From Joseph’s quality interviews with survivors, original materials collection and research of a World War II Marine Scout-Sniper Platoon, we collaboratively wrote a historical military novel about the 40 Thieves: Saipan. I brought writing skill to the project and learned about the process of co-writing, about history, about the people willing to defend their countries. I hope to start blogging about this experience and the 40 Thieves soon. World War II’s Pacific Theater isn’t as well known as the European operations. My father joined the Navy to see the world. He saw a lot of the Pacific from a boat deck. My new work of speculative fiction is in the hands of a story editor. The power of wealth in political democracies is explored in The Consulate’s Daughter. Should the wealthy rule the world? Are offspring commodities to be managed by those in power? Journeying to the world a score of years away for those who dare to think about where the future might take us. Blogs are one way to keep writing during the hours devoted to searching for an agent or publisher for these completed manuscripts. Like a journalist, I try to maintain a voice specific to the blog’s intent. You can find my blogs on this site, WordSisters, and, soon on 40 Thieves: Saipan. The annual physical was covered as preventative care except I asked a couple of questions and those were coded as diagnostic and resulted in billings that I paid. In 2017 it appeared that each question was worth about $130. There’s no easy answer to matching endless demand for a limited natural resource.